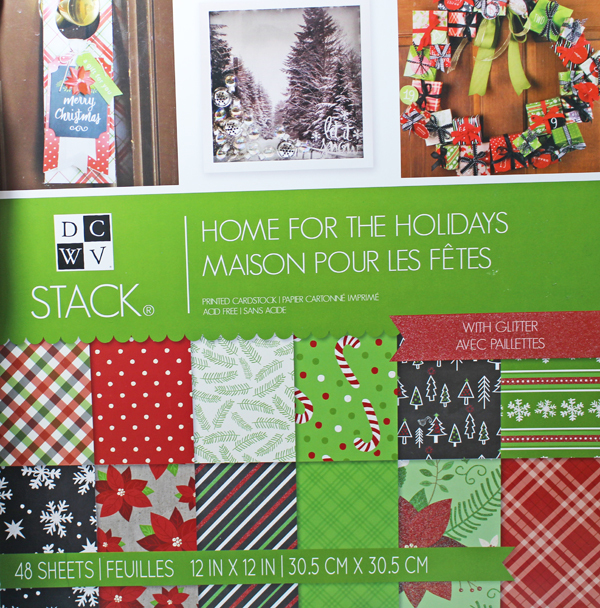 For my layout I used mostly the Home For the Holidays Stack, but the little piece that I cut from a journaling spot for the title is actually from the DCWV Merry Memories Stack which is also new and it might just be my favorite for this year so you will see a layout soon, I hope. I also die cut snowflakes from some DCWV white glittered paper and of course I added some DCWV gold foil patterned vellum. and here is a close up because these papers have glittered accents that I am not really capturing well. 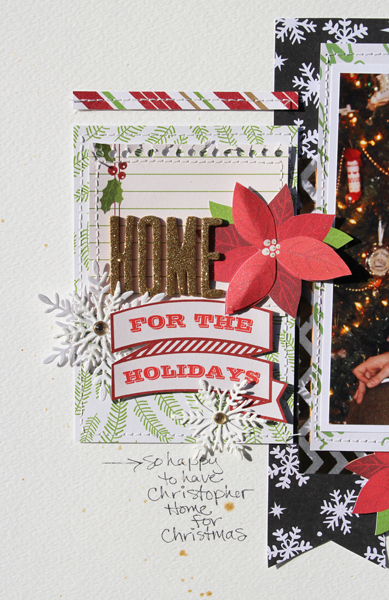 I cut the poinsettias from one of the papers and just layered. 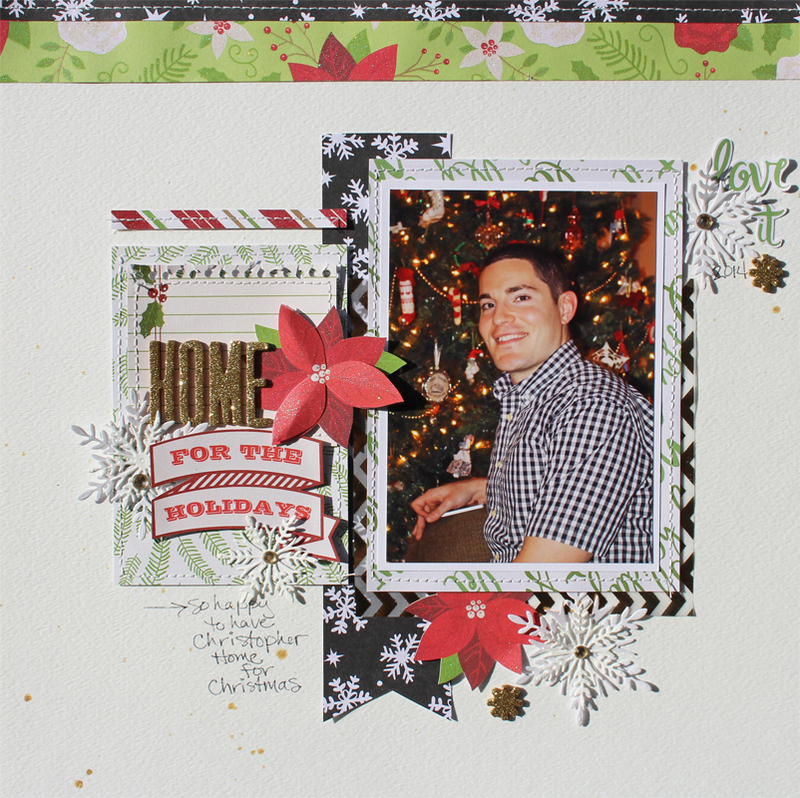 In the upper right I added the words "love it" that I cut from one of the patterned papers that has holiday words all over. Great layout, I really like the black there to add pop.